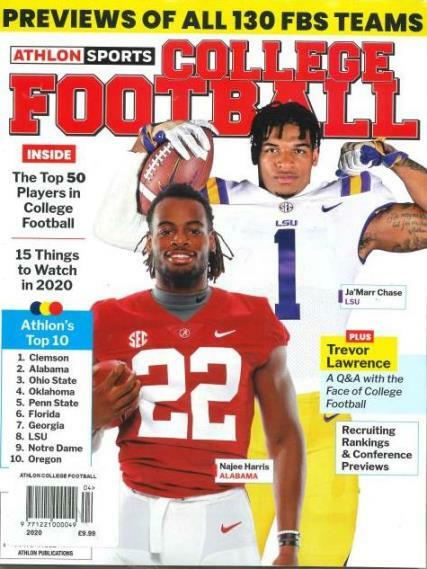 Athlon Sports College Football makes its way to the UK to advise us all of the annual news of American College Football.Buy a single copy or subscription to Athlon Sports College Football magazine. There is a complete analysis of all 128 FBS Teams giving you every bit of information you would need to know about the sport as well as some profiles on their cheer leaders to . . . If your an american football fan you really need to biy a single issue of Athlon Sports College Football today from Unique magazines.